In order to cater the mixing need of the clients, we have been indulged in providing the finest quality Rice Batter Packaging Machine. 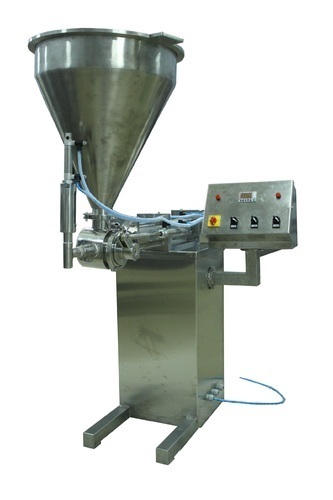 The entire range of filling machines is acknowledged for their short work cycles. Additionally, we are offering these filling machines in customized options as per market needs within a committed time. Our clients can avail these filling machines from us at market leading prices with no constraint. Operating System PLC integrated MMl screen controlled system with production counter attachment for multiple filling.